A new IT platform for the sport betting and gaming offering of mybet will be put into full operation at www.mybet.com on 21 March 2017. 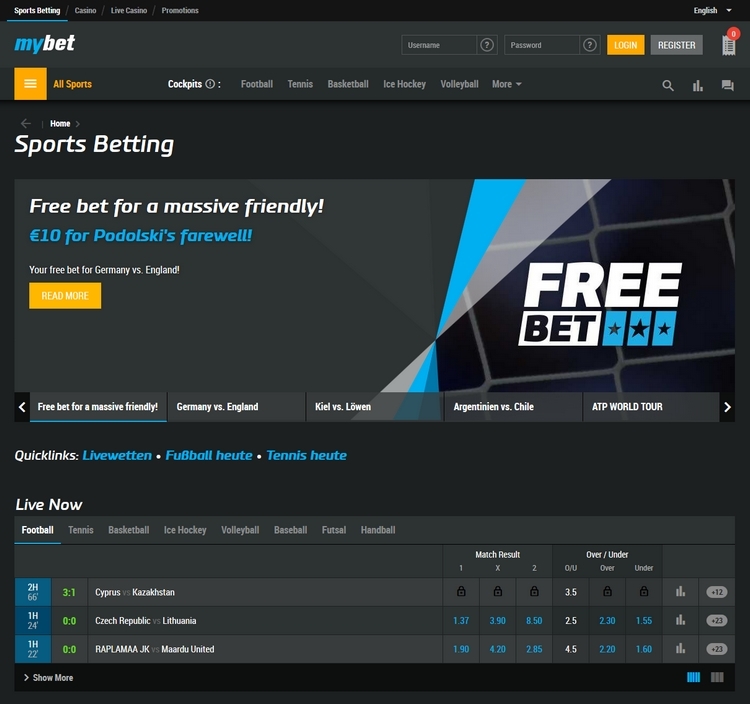 The new mybet platform not only provides a completely new look but also a significantly enhanced betting and casino games offering as well as a number of new features. The responsive design allows access to mybet from all mobile devices without restrictions. Sports: 100% up to € 200 welcome bonus!